The service United Kingdom national number allows you to purchase a non geographic phone number of United Kingdom, to receive calls as if you were physically in United Kingdom. The service United Kingdom national number allows you to purchase a non geographic phone number of United Kingdom, to receive calls as if you were physically in United Kingdom. This number can serve as a national phone in your home, office, mobile or tablet. For non-residents, a national number of United Kingdom is a non geographic landline number to receive calls as if they were physically in United Kingdom, without specifying the city. The person resident in United Kingdom pays a local call when calling your national number of United Kingdom and you just pay the monthly fee regardless of the length or number of calls you receive. How works United Kingdom non-geographic number? By subscribing to the United Kingdom non-geographic number, you will receive an activation email that contains your phone number, web interface access and the details of your SIP account (SIP user, password and SIP server), to configure your SIP terminal. This confirmation email will be sent between 1 and 24 hours. 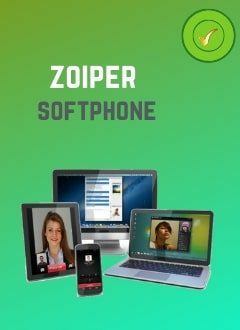 If you don't have a SIP terminal (IP Phone, Smartphone, Tablet, computer, IP PBX) or you just want to receive calls from your United Kingdom non-geographic number on your landline or mobile phone without internet, you can forward incoming calls to your number. In this case, you will pay an additional cost for call forwarding (visit our call rates). United Kingdom non-geographic number to receive calls by internet. Sending the requested documents is mandatory for the activation of the United Kingdom non-geographic number. If you do not send the documents, the number will not be activated and the amount paid will not be refunded. The customer subscribes the United Kingdom non-geographic number to receive phone calls. The customer must have a sip device (PC, Smartphone, tablet, IP Phone, IP PBX etc.) connected to ADSL, WiFi, 3G, 4G etc. The customer can also receive phone calls from United Kingdom non-geographic number, on his landline or mobile phone with the forwarding function. In this case, each forwarded call will be charged at the rates in effect at Hivoox. The customer can also purchase voip minutes that will allow call forwarding to fixed or mobile. The United Kingdom non-geographic number is valid for 30 days and automatically renews each month on the same date. If you see high on 05, your next billing would be 05 the following month. To unsubscribe, simply send us an email and request to cancel the service. Note that you have to request the closure of your account, prior to the billing date and have no outstanding bill.